Over the weekend, Pokemon Red and Blue turned 20 years old. That’s a whole lot of Pokemon over the years. Other than making me feel really old, it did get me thinking a bit about my journeys through the various regions in Pokemon’s world. From my very first Pokemon, to my more recent adventures, I thought I’d join in with the chorus celebrating Game Freak’s games. My very first experience with the original games was actually through one of my cousins. He had Pokemon Red with him at a Memorial Day cookout – the year is lost to my memory though. I remember watching him make his way around the Safari Zone and thinking that it looked so cool. Flash forward to that Christmas – I wake up, head downstairs, and in the pile of presents that “Santa” brought was a Green Gameboy Pocket (which I still have, and works) and Pokemon Blue. I can’t tell you how much I played that game – I fell in love with the series right away. I, of course, picked the best starter ever – Bulbasaur – and he never left my party the whole game. I got him to level 100 (legit, without the Missingno trick – which I later abused), he was present in pretty much every Elite Four run I made and has always been my favorite Pokemon line. I went out and bought Pokemon Red so that I could trade my way to owning all 150 Pokemon. I can clearly remember battling my friends on the bus to Young Scholars in fifth grade – twenty minutes of Pokemon bliss. I never really watched the cartoon, but I loved the games – including the card game for a good handful of years. Twenty years later I still really love the games – I think they’re really amazing ways to introduce younger players to RPGs. They have a really surprising depth to the combat, going beyond the surface “Rock, Paper, Scissors” style that first time players see. As the years have gone on, and as each subsequent generation has added in a tons of new Pokemon species, what hasn’t changed is the charm. Few games, and especially few big budget games, have the same level of charm that the Pokemon games do. It’s in the design of the different Pokemon, it’s the childlike wonder that each different region has (probably because the player character is a kid), and it’s in the simple, but well written dialogue. There’s a reason that every time a new set of games is announced that the collective gaming public goes crazy. For a huge portion of gaming’s community Pokemon has been a major part of our lives growing up. It was the game that got me interested in RPGs, and 100% completion in games. Now that Nintendo has re-released those first two games (and Yellow) for the 3DS Virtual Console a new generation of players can have that same experience we did, and us old folks can revisit Kanto all over again. Hell, I still have both of my cartridges for Blue and Red and I still am thinking of picking them up on the 3DS (mainly because the battery save on one of them has gone out). There are still plenty of stories in the world of Pokemon to tell – I’m still waiting for Nintendo and Game Freak to bring them to the home console as traditional Pokemon RPGs, not as a spin off. As the community still finds more in-depth ways to dig into the combat, with IVs and EVs and Natures and all that, the competitive scene will keep getting deeper too. Nintendo has a track record with keeping franchises alive for a real long time – Mario is 30, Zelda just turned 30 this year, Metroid is coming up on that 30 year mark as is Mega Man (which I know is Capcom). With that in mind, I can’t wait to see Pokemon keep going on for years to come. Yesterday I brought up a hypothetical question that I’ve been thinking on this week. If you had the ability, what game universes would be the best ones to hop into and live in for a while. We set a couple ground rules – you would be the main character, the game rules all still apply, and should you game over, you are banned from that world for some period of time. Yesterday I picked out a couple universes that I thought would be good ones to live in. Today, let’s hit the other side of the spectrum – the bad games to hop into. Really this could just say any FPS game here, but I singled out Call of Duty mainly because of one reason. 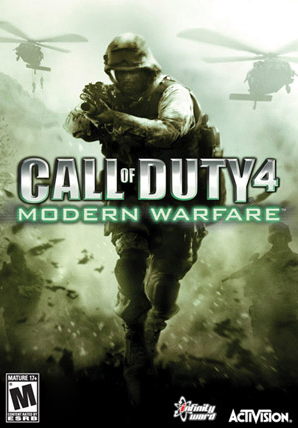 Any Call of Duty game since Modern Warfare has featured massive set pieces. Buildings exploding, tumbling down on top of you; helicopters crashing down right in front of you; or massive oil rigs on fire. Add in the end-game moments, pulling a knife from your chest comes to mind; and I think you have a formula for a world that would be pretty rough to experience. And really you could say the same about Halo, Battlefield or even Medal of Honor. I mentioned it a little yesterday that I didn’t pick Grand Theft Auto, instead going with Saints Row. My reasoning for going this way was that in GTA, the odds are you will be in constant danger of dieing. Whether it’s from the jobs you’re doing, the diversions you undertake, or just driving throughout the city, with no regard for rules at all. It really doesn’t matter which game you pick either – each one has the same basic problem. The freedom that the games provide all result in all kinds of dangerous situations. Add in the different gangs and mobs and other nefarious folk that want you dead and you have a recipe for a very dangerous time. I think that this is one of those games that speaks for itself. If you’ve played Dead Space I think it’s pretty evident why it would be a horrifying experience. For those that haven’t played the game, the short version is that it’s basically Resident Evil in space. Now, there’s a lot more going on than that – but the basics are there. Evil group bent on controlling the primary enemy type for their own end? Check. Unbelievably tense environments that hid enemies around every corner? Check. Massive boss enemies that put the normal baddies to shame? Check. 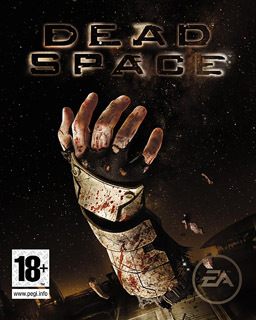 Add in the somewhat more visceral nature of the Necromorphs and I don’t think it’s too far of a leap to say Dead Space would be horrible to be in. Great games, terrible life. This is where I make my picks that aren’t actually bad picks. In fact, both series could actually be kinda fun to be in. Exploring Rapture would be both unnerving, but also really pretty cool. Living in a world with Pokemon would also have some super awesome possibilities, especially since with our rules saying you’re the main character. But those same Pokemon could very well create all kinds of havoc. If we’re looking exclusively at the plots of the games, I could maybe put them in the good list. But since this is all about experiencing the worlds beyond the framework of the games, I can very easily see them both being dangerous. Now, just because I don’t think these particular games would be bad to actually be a part of, doesn’t mean I think they’re bad games. In fact I really love each game on this list. 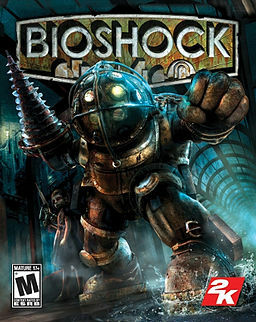 I’ve said BioShock is one of the best games ever, let alone the last ten years. And putting them on this list doesn’t make them any less immersive either. Again, BioShock has one of the most engaging settings ever – Rapture truly feels alive, which is a hell of an accomplishment for an FPS. This whole question was more about physically entering the worlds, and being a part of them – this particular list is more about the worlds that just might be more trouble than they’re worth. I’m not by any means saying I’m right or wrong with either set of games – far from it. I just think it’s a fun little thing to think about, especially with so many great games out there these days. With the last day of RPG week 2014, I want to hit a couple of my favorite RPGs that don’t really fit into any of the previous categories I’ve been talking about. There are three series that I want to hit today – Final Fantasy, Kingdom Hearts and Pokemon – which will wrap up my thoughts on the genre, at least for now. Next week will be pretty busy with Destiny releasing on Tuesday – I plan on having a whole bunch of different topics to talk about over the next couple weeks, hitting all the major parts of the game. First though, I want to look at the granddaddy of all the console RPGs – Final Fantasy. It wasn’t the first RPG on home consoles, but it took the reins from Dragon Quest, released a year earlier, really setting the template for the genre on the home consoles. The series stretches all the way back to 1987 on the NES and has had a longevity that few series have enjoyed. Players these days might immediately think back to Final Fantasy VII on the PSX as their first experience with the series. To this day I still think that FFVII has one of the very best magic systems I’ve ever used in a game in the materia system. Spells are tied to the individual materia, which has a separate experience level that you raise, which makes the spells that much more powerful. Because the spells aren’t tied to characters, it lets you put the spells on the party members you feel like. Combine that with a strong story, memorable characters and moments that still resonate with gamers years later, and you have a game that has an important spot in the annals of history. 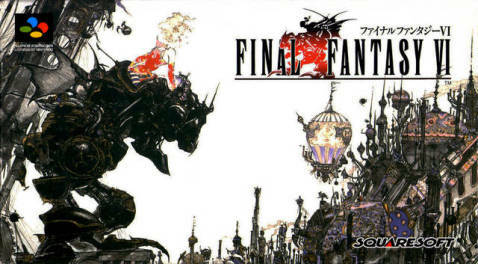 That said, it’s not the best game in the franchise – that title belongs to the previous game, Final Fantasy VI. While FFVII might have the more well known villain in Sephiroth bent on destroying the world, it’s Kefka in FFVI that actually succeeds in his plan. To this day gamers still are a little unnerved by that damn Laugh of his. While the games in recent years maybe haven’t been up to the same level (I think FFX was the last really good one) the future is rife with potential, with a number of new games on the horizon. 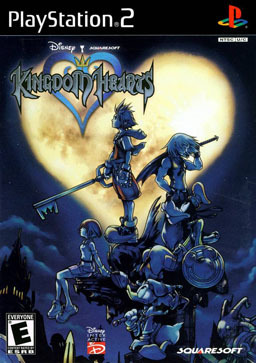 Sticking with the Square-Enix games, I want to talk a little bit about their partner series with Disney, Kingdom Hearts. On the surface, it’s a pairing that might seem like it wouldn’t work. The tone between Disney animated movies varies so much, and the general tone across the Final Fantasy series skews more serious. I’ll freely admit that I was skeptical of it at first – it took my friend showing me it in action to convince me. In practice, it works so well it’s almost like they were meant to. 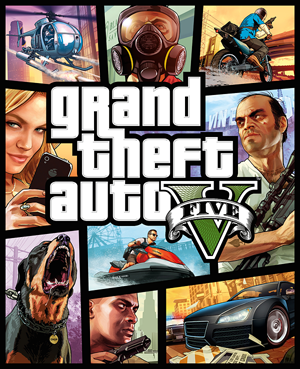 Playing more like an action game, since the combat is in real-time, the game feels different enough from Final Fantasy that even with the familiar characters, it manages to form its own identity. Playing through the iconic worlds that the Disney movies take place in opens up all kinds of story telling options. An extra detail that helps ensure that this was going to be a unique and serious game, not a cash in style game, was creating the new enemy Heartless. Instead of just picking typical fantasy or RPG standards, Square-Enix created a brand new enemy and weaving their origin into the story. One thing that I haven’t been a fan of is the focus on side games on handhelds and the continual rerelasing of the older games. The good news is that Kingdom Hearts III is in the works – I would bet on hearing more either at TGS or E3 next year. Finally, I want to talk about the first real RPG series that I think I ever really got into – Pokemon. I was ten when the first two games came out in the States – the perfect age to start playing. I got my first Gameboy that Christmas – a green Gameboy Pocket that I still have, along with a copy of Pokemon Blue. I dug right into the adventure – just really scratching the surface, focused solely on catching all 150 Pokemon. I picked the best Pokemon on the first day, and I still have that guy all these years later – my Venusaur I think has been in my party constantly since day one. Everyone knows about the explosion in popularity the series has enjoyed – and rightfully so. It’s both an accessible game for kids to pick up and start their own Pokemon adventures, bent on catching them all; but at the same time has surprisingly deep RPG elements behind the scenes. IV training, Pokemon natures, all the different mechanics that go into typing, both offense and defense, along with the actual catching of the Pokemon. I’m not one of the players that thinks only the first 151 are the best Pokemon, but I have definitely paid no where near enough attention to the details to really think about competitive battles. 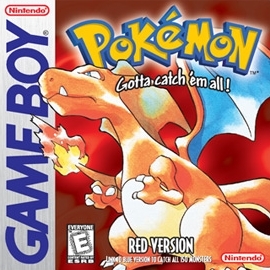 To that end, I always love going back and playing the classic Red/Blue games – and ultimately their remakes on the GBA. And with that, I think I’ve put just about all my thoughts about the biggest RPG franchises out there today. Over the last week, I’ve hit a good variety of games – Western RPGs, JRPGs, High Fantasy, Post-Apocalyptic, Third- and First-Person and even Space RPGs. It’s a genre that is full of limitless stories to tell, and the experiences always are deep and lasting – not to mention they are a good way to spend hours and hours and hours. Looking ahead, we have a real good fall for RPGs ahead of us, with a nice smattering of Shooters thrown into the mix too. It is going to be a wonderful next couple months – it really is a great time to play games.